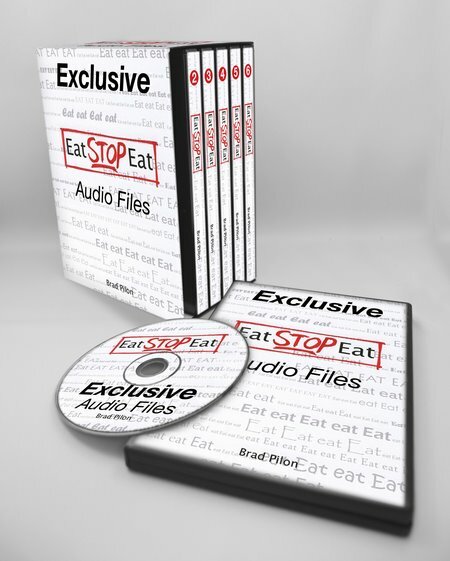 The Eat Stop Eat method of using flexible intermittent fasting for weight loss is so completely uncomplicated that you can literally start the program the minute you finish reading this book. You don’t need to buy any fancy foods or special diet supplements. You will start seeing results today! Anyone interested in intermittent fasting; the science behind it, as a lifestyle or as a way to lose fat. Besides learning how to practise the Eat Stop Eat lifestyle, this book covers topics pertaining to intermittent fasting and metabolism, health, body composition, hormonal effects and much more. Very newbie friendly, yet well referenced and scientificly accurate. This is the only book on the market with a substantial collection of research on intermittent fasting. There are no calorie/macronutrient specific guidelines given in this book, which might be a problem for some people. Of course, if you have a good grasp on calorie counting and such, this is a non-issue. 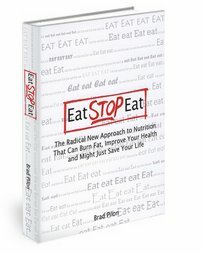 On the other hand, I think Brad left out meal plans/nutrional guidelines intentionally, since he pushes this as a lifestyle diet rather than a ‘diet’ diet, so to speak. As for training, Brad refers to some of his affiliates, which feels like a cheap way out of having to come up with something of his own. It woudn’t have hurt to put some basic workout templates in the book. This is the best book about intermittent fasting you can get at the moment. Not a hard title to grab, seeing that there aren’t that many around, but it’s actually a surprisingly good read; it’s written in laymans language, simple and easy to understand, but remains solid on the scientific side of things. I particularily liked that Brad choose not to skimp on the reference list. The main downside as I see it, is that it is a bit vague when it comes to the practical side of things (what to eat, how to train). Anyone interested in the science and technicalities behind intermittent fasting. Brad speaks about intermittent fasting and how it relates to hormones, health, muscle/fat metabolism and exercise. Covers the topic in fairly technical terms, but doesn’t get over the top. Anyone should be able to understand and follow along after having read the book. I particularily liked the chapter on insulin resistance and growth hormone. Some type of lame new age music playing in the background. That, in combination with Brad’s voice, made me sleepy at times. Complements the book very well and I found the discussion interesting, despite being well versed in the topic myself.